A dodecahedron has 12 equal pentagonal faces. It is symbolic of ether, which is unknown and unseen. Plato saw it as a model for the twelvefold division of the zodiac. Aristotle felt it was the element of the heavens or ether that represented divine thought or will, represented as the invisible energy of space. Combining a dodecahedron (ether) with an icosahedron (water) creates a truncated icosahedron representing the sub atomic structure of carbon. This is known as a fullerene or Bucky Ball named after Buckminster Fuller. As carbon beings, we are made up of water and energy. It is remarkable that Aristotle understood this over 2000 years ago. Fullerenes are now considered the galactic seeds of life. 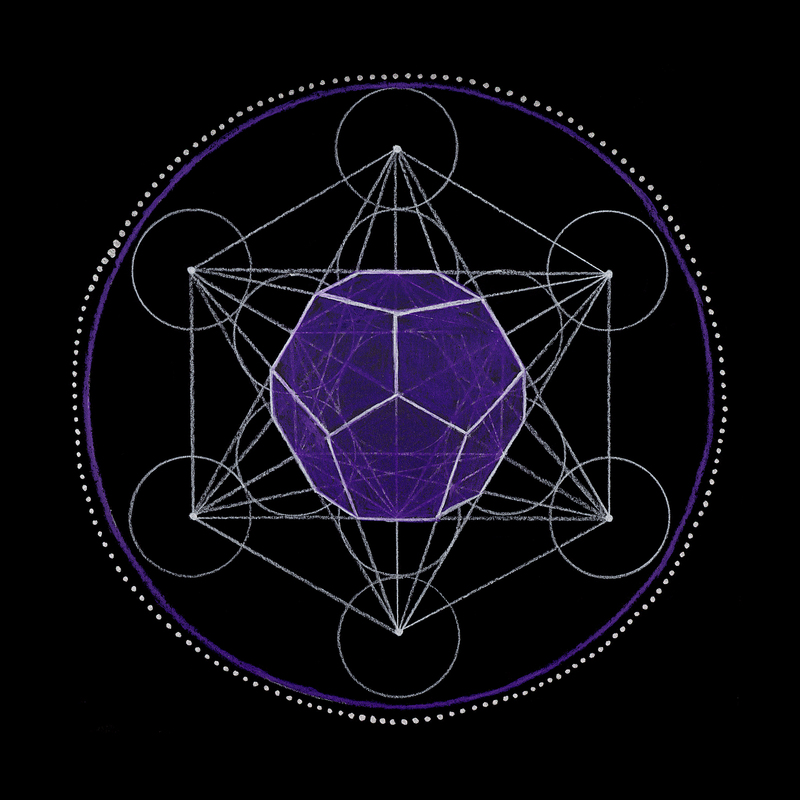 The dodecahedron is aligned within the third eye chakra reminding us of the power of intuitive thought. The paradox is that without imagination, we would have no knowledge. Without knowledge, imagination cannot be developed. The truth is we need both. The third eye encourages both knowledge and imagination as we dance between the worlds of divine thought and earthly will. Message: Trust your knowledge and your imagination. This will help you see that nothing is impossible. Use your wisdom and your intuition to see all of the options available to you and to choose which is right for your soul. It is important that you trust and believe in yourself. You do possess the ability to make your vision a reality.